How is Formula E transported? 3 July 2016 – GP3 Series leader Charles Leclerc has been handed a five-place grid penalty for the next round of the championship in Britain. 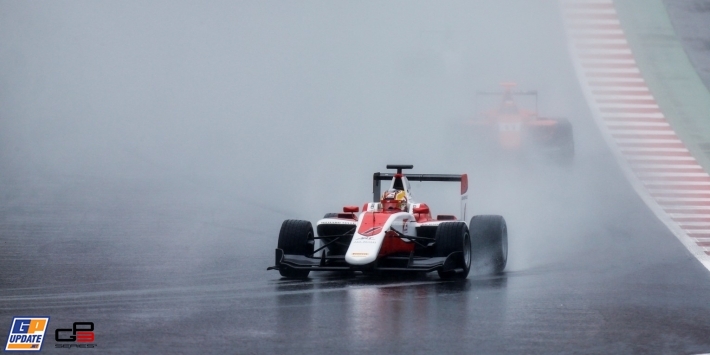 Leclerc collided with Arden's Tatiana Calderón during a wet second race in Austria and was deemed to have "not driven in accordance to the wet conditions". Leclerc, who won the opening race of the weekend, leads the standings by five points, ahead of ART team-mate Alexander Albon. Jenzer's Akash Nandy has also been handed a five-place grid penalty for Silverstone after exceeding the pit lane speed limit. Mercedes offers insight into a Formula 1 pit-stop and looks back on the British Grand Prix weekend. Book F1 tickets and join the action live! Repsol Honda race engineers Santi Hernandez and Ramon Aurin preview the German Grand Prix. Follow Silverstone in-season testing live! 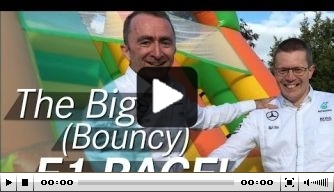 Watch Mercedes Formula 1 chiefs Paddy Lowe and Andy Cowell go head-to-head in an obstacle course. Watch highlights from IndyCar's Iowa Corn 300 as Josef Newgarden won for the first time this season.